In real life, however, Kotone is an average woman who works an average job, with a below average relationship with her estranged parents. Every day that passes is the same, and Kotone soon grows tired of her monotonous routine. If only she could enter a world like Asaph, filled with fantastical creatures and frightening monsters… but Asaph Online is only a game. There’s no way a game could ever become a reality. 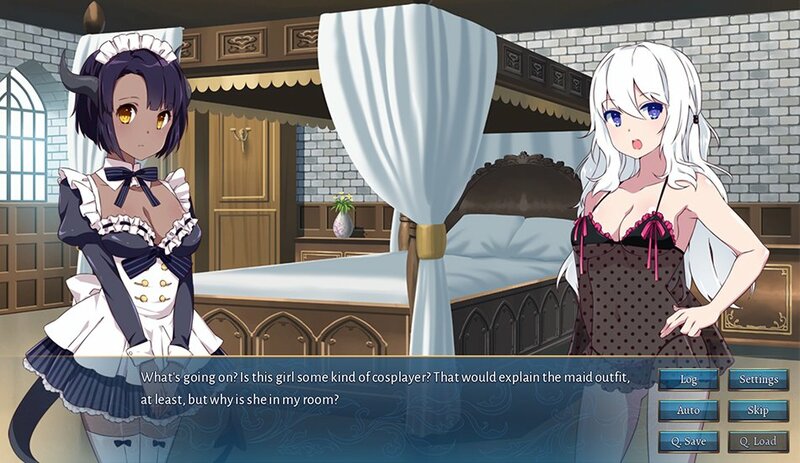 At least, that’s what Kotone used to think – until a mysterious force summons her to the world she has traversed so many times through her computer screen. Now, Kotone isn’t just Kotone, but the dark witch Viola – and, freed from her societal obligations, she finally decides to have some fun!